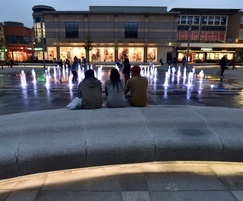 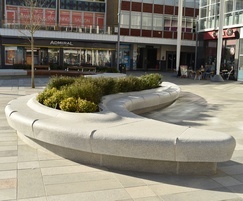 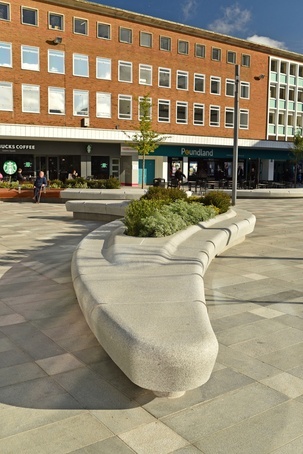 Queens Square in Crawley was redeveloped in 2017 by Crawley Borough Council, West Sussex County Council and the Coast to Capital Local Economic Partnership who invested £3.2m into the project. 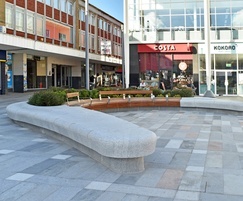 The award-winning scheme, designed by Burns + Nice, revitalises the town centre, creating a distinctive public space that encourages residents and visitors to enjoy and use the area. 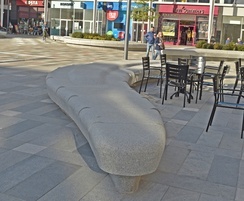 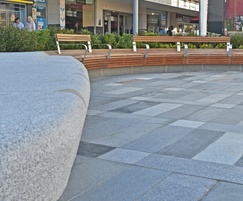 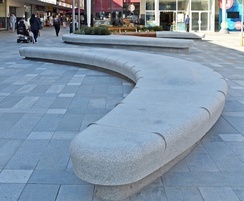 Pomery Natural Stone was commissioned to produce the feature seating in silver grey granite with stainless steel anti-skateboard fixings. 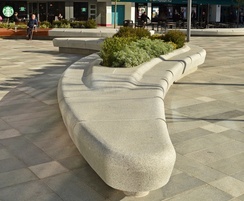 Curved benches, some with integral planting islands, were fitted with LED lighting to create attractive focal points for socialising during the day and after dark. 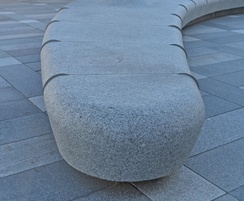 Pomery Natural Stone is expert in producing bespoke outdoor seating from granite.